What's up everyone. Well we've been quiet for a couple of years with this website so I figured I would give you guys an update. We finally released our album July 18th of last year. Check out the player below to listen to some samples and purchase the album as well. Hello everybody, Raf here with some major updates. 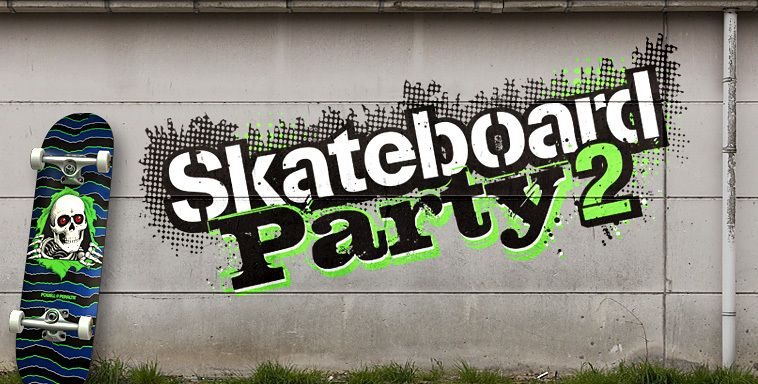 First, we're excited to announce that the songs "Waiting for a Ride" and "A Pleasant View" have been chosen to be part of the video game Skateboard Party 2 which was released today. It is available for Android, Windows Phone, iPhone, iPhone Touch, as well as iPads. The game is only $1.99! The other news is that we've finally finished the record. Jason Livermore from the Blasting Room did an excellent job mastering the record and we're extremely excited to share the album with everyone. We're currently in the search for a label interested in putting out the record. In the meantime, Gaston put together a video for the song "Never Needed" which will appear in the new record. Check it out below. Sup everyone! Things are going well here. The record has been mixed and now just waiting for the master from the blasting room. It sure sounds awesome and can't wait to share it with the world. No shows booked at this time but keep checking. MAJOR UPDATE!!! We have finished tracking our upcoming full length record. The tracking was done at Pinecrust Studios in Miami by Ryan Haft and is currently being mixed by Darian Rundall (Credits include: Pennywise, Strung Out, Dokken) and will be mastered at the Blasting Room by Jason Livermore. We couldn't be happier to have such a good team working on our full length and we're excited to release it. We're currently shopping around with labels all over the world. While waiting on the record to be mixed and mastered, we have been practicing and writing some new material as well as getting ready for Florida Supercon in July. Make sure you check us out as we'll be playing many songs from the upcoming album. Lastly, please vote Hit Play! into the warped by clicking here. - WARPED TOUR 2013: Hit Play! wants to play this year's Van's Warped Tour and we need your help. Please vote by clicking here. - Hey everybody, I gotta say that Florida Supercon was awesome. It was good to see Less Than Jake perform a solid set after being a band for 20 years. Our set at this year's Supercon is getting close. 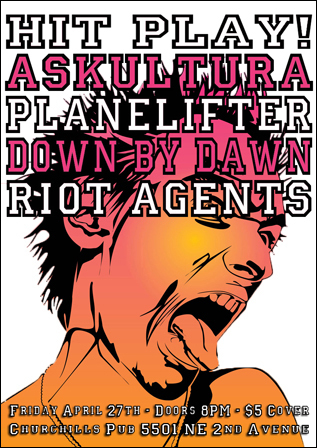 We'll be sharing the stage with no other than everyone's favorite Ska-Punkers Less Than Jake. 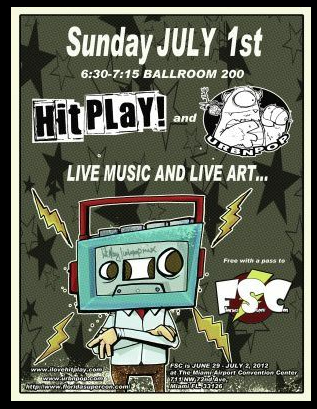 We will be performing July 1st at 6:30 in Ballroom 200 so make sure to check us out.We have also finished selecting the songs that will be making it on the full length album that's due hopefully by late 2012 / early 2013. We will continue adding details as they come. What's up everybody! So our full length is a bit behind schedule but we have been working hard on getting all of the final touches on the songs taken care of. The good news is that we've been added to some pretty awesome shows in June. 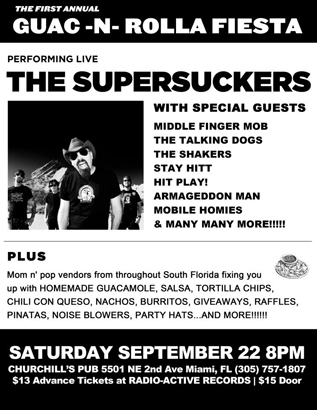 The first will be at the patio of Revolution in Fort Lauderdale. 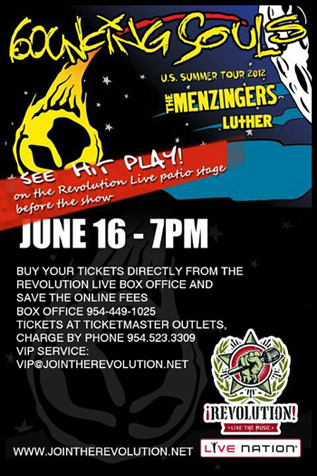 We'll be opening up for punk rock legends The Bouncing Souls who are currently touring with The Menzingers. You don't want to miss this one. The other show we've been added to is this year's Supercon where we'll be sharing the stage with no other than everyone's favorite Ska-Punkers Less Than Jake. Performance times are yet to be determined so check back often for updates. How's everyone doing? We're all good here, excited about this upcoming 2012. We recently heard the mastered version of our cover of the Cars's Hit Song "You Might Think", recorded Justin Berke from Fallen From The Sky. 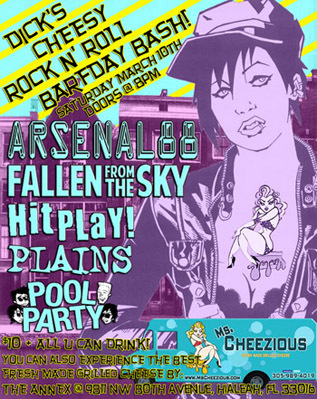 We played with those guys last year and we'll be playing with them again at our next show. $10 gets you in plus free beer, you can't beat that! We hope to go back in the studio within the next 2-3 months to record a teaser EP to our full length which should be out early 2013. Thanks for the support and keep checking back for more updates! Happy New Year everyone! Hope you all had a wonderful holiday season. Hit Play! 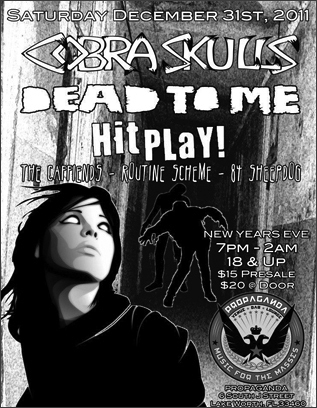 ended their year on a positive note, playing a New Year's Eve show with Fat Wreck Chord's Dead to Me and Cobra Skulls. They flew all the way from California just for this special occasion. Super nice guys and they both rocked it. We rung in the New Year during the middle of the Cobra Skulls Set. We recently finished recording a version of the Cars's 1980's Classic "You Might Think", it was recorded in Delray Beach and co-produced/engineered by Justin Berke from Fallen From The Sky. 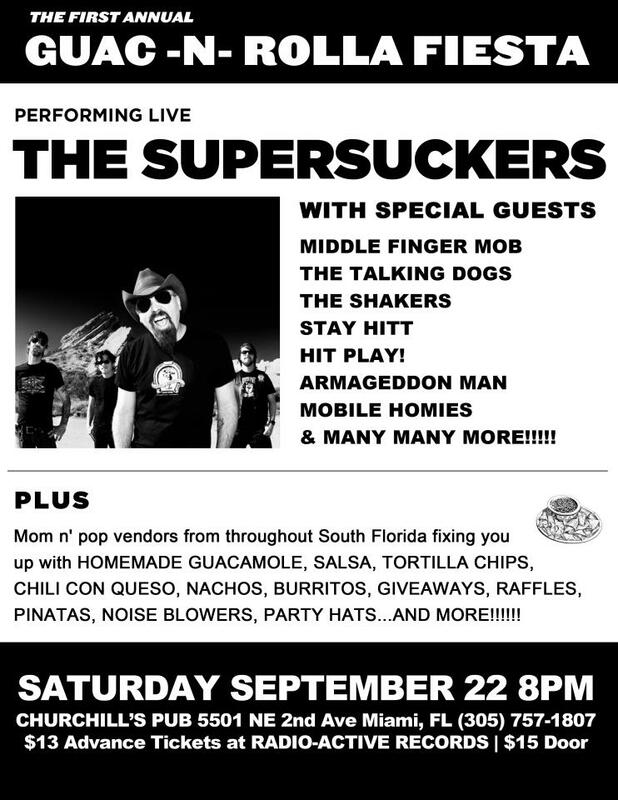 Those of you haven't check those guys out as they are one of South Florida's best punk bands. We will have more info regarding the release date of the cover song soon. Any Back To the Future fan out there should check out our official video below for Progress, I think?